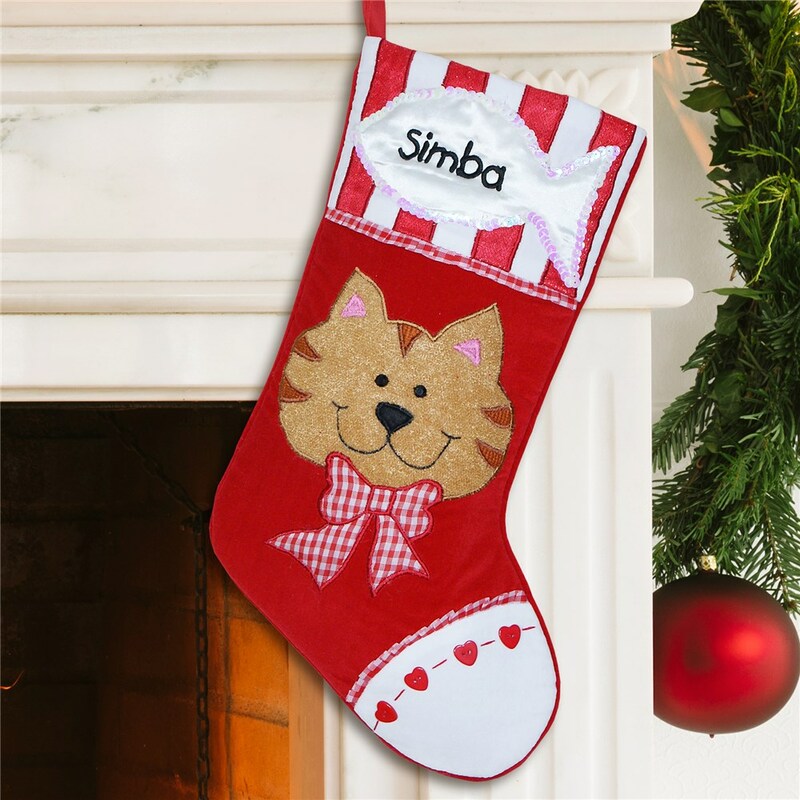 Our Embroidered Cat Christmas Stocking is the best way to treat your friendly feline like one of the family. We'll custom embroider your Personalized Pet Stockings with any name you choose in the font and thread color as shown. This piece offers lots of room for treats and goodies and is sure to be cherished by your pet and the whole family. My daughter had to have this stocking with her cats name personalized on it. It was well made, and surprising how fast it was made and delivered! Have ordered many of these for our different pets. Excellent quality! Quick processing! Great place! Love the product. Made well and will hold a lot of treats for my cat E-Z. Really cute. Shop GiftsForYouNow and you get FREE personalization on every Christmas stocking and gift. Check out this neat stocking for the family fish or this cute first Christmas stocking for baby! Shop GiftsForYouNow for personalized Christmas Stockings in time for the holidays.